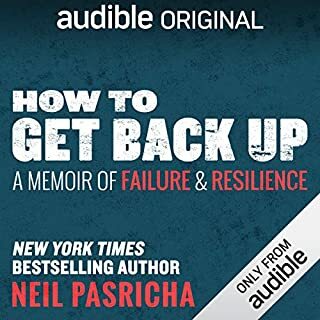 Before selling over a million copies of his Book of Awesome series and touring the world to teach Fortune 500 CEOs, Ivy league deans, and members of the royal family how to unlock a positive mind-set, Pasricha’s life hit rock bottom. He flamed out of his dream job and then racked up $300,000 of debt as a failed entrepreneur. He lost his best friend to suicide and his first wife to divorce - in the same week. And yet, inch by inch, Neil learned how to get back up. And you can, too. Navigating the new landscape of power with Mary Barra (GM), Stewart Butterfield (Slack), Satya Nadella (Microsoft), Sheryl Sandberg (Facebook), Eric Schmidt (Google/Alphabet), David Solomon (Goldman Sachs), Ellen Stofan (NASA), and two dozen other leaders, thinkers, and luminaries. Power is changing. Private corner offices and management by decree are out, as is unquestioned trust in the government and media. 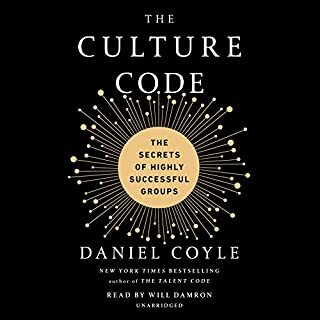 These former pillars of traditional power have been replaced by networks of informed citizens who collectively wield more power over their personal lives, employers, and worlds than ever before. So how do you navigate this new landscape and come out on top? 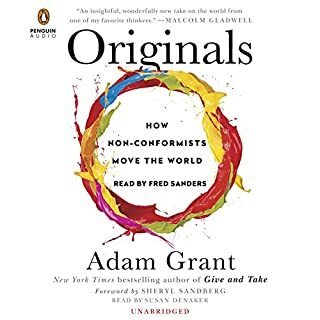 Adam Grant, Wharton organizational psychologist and New York Times best-selling author of Give and Take, Originals, and Option B, went to the World Economic Forum in Davos, the epicenter of power, and sat down with thought leaders from around the world, to find out. 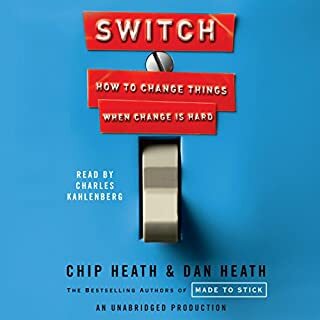 In interviews with two dozen leaders and thinkers - from top executives at Google, GM, Slack, and Goldman Sachs, to the CEO of the Gates Foundation and NASA’s former chief scientist - Grant shares hard-earned insight on how to succeed in this new era of hyper-linked power. 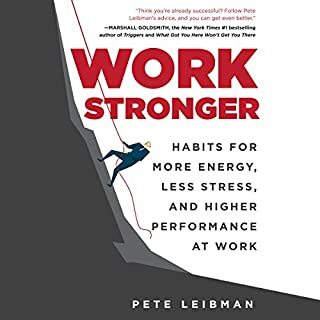 He also explores how it’s reshaping everything from how employees work to how employers manage their workers, from how women rise in the office to how scientists influence policy. 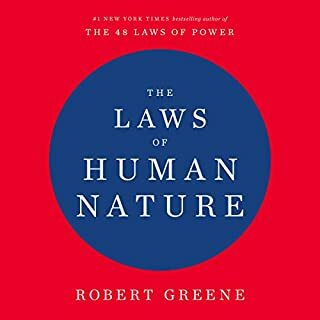 The combination of captivating interviews, compelling data, and Grant’s unmistakably incisive and actionable analysis results in an inspiring crash course from the frontlines on the changing nature of power today. 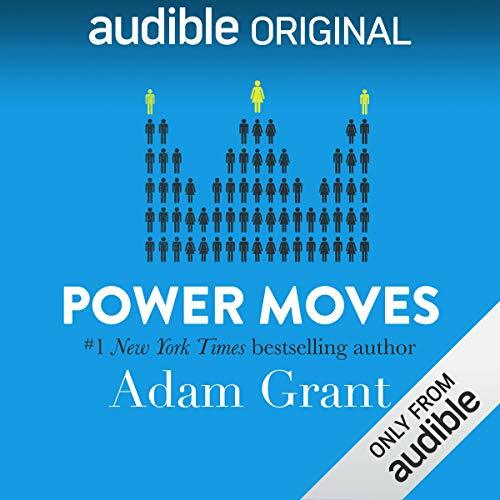 ©2018 Adam Grant (P)2018 Audible Originals, LLC. 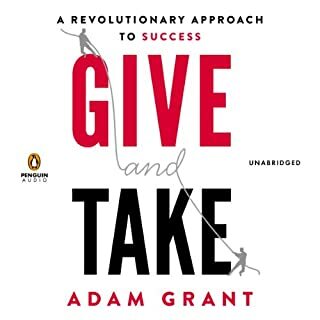 Adam Grant has a way with words. He is able to convey his ideas through vivid imagery and suspenseful story telling. He presents amazing leaders, stories and ideas in such a nonchalant way then surprises you by revealing the person or event behind the story. Take a listen. This audible is how I imagine audiobooks should be produced. 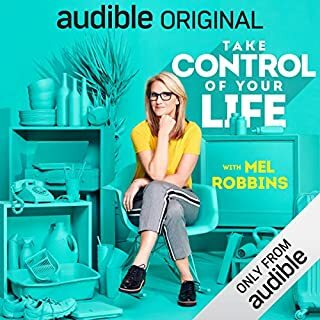 Adam takes advantage of the medium and writes this Audiobook for the Audio. This book was all over the place and made no sense. Just a collection of short interviews that were not very good. 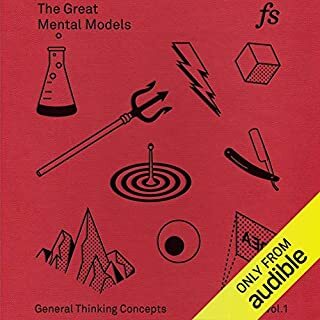 This book is really a podcast. The author really seems like a young, fresh college graduate that threw himself into the realm of CEO's based off of a contact he had. 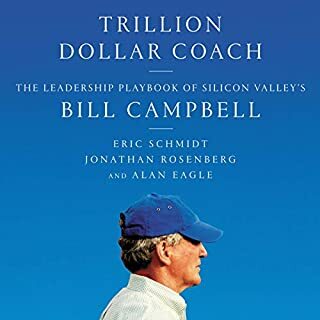 He analyzes power as some sort of tangible good, that all these CEO's are focused on is gaining more power more than success of their companies or revenue. 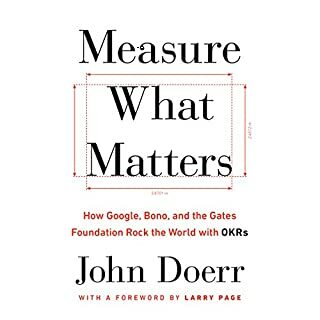 I got about 3 chapters in, the idea of setting this book up like a documentary with interviews is not a bad idea, but the way it was presented and the authors' views make it difficult to take seriously and learn from. There was little concrete in the book. Power is dealt with in an abstract manner, and there are scarcity of gripping points in reality. Much of the book deals with gender equality. The writer willingly ignores certain facts in order to push his ideological beliefs mostly centred around Feminism and "progressivism". He picks the facts that reinforce his ideology and ignores the ones that do not. As a result throughout most of the book he makes an error of mistaking cause and effect. This made me doubt his research and the overall usefulness of the book. 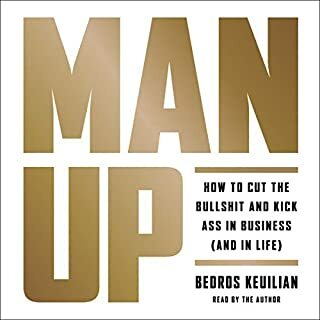 (as an example, when he talks about men who are "takers"(assertive, dominant) he outright calls them psychopats and sociopaths, but in the next chapter he encourages the same behaviour in women stating that it is beneficial. The production quality is great and some of the guests are amazing, it's a shame the writer focused more on pushing his political agenda than writting a useful book. Everyone has a different taste of course, and this was not mine. I did finish the book, hoping it would become better, but these were 3 hours wasted that I won't get back. Imo it takes a postmodernist approach to power, and if you're not a postmodernist / neo-Marxist / cultural Marxist, you won't agree with a lot of its rather one-sided view of power. Plus, I found the narration gratingly annoying. Of course this also depends greatly on personal taste, so do check out the sample before you download, even though the book is free. 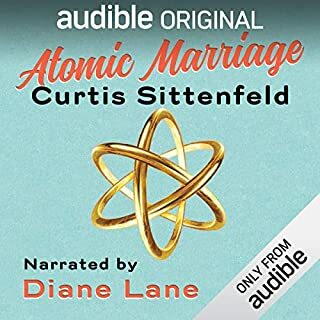 This audiobook started off in the right direction. Shortly after turned political and hard to follow what the point is. Unable to return the audiobook though I have no intention to bother hearing any part of this again. I carefully read the descriptions of selections before purchase, and am disappointed. Not sure how this book got so many good reviews??? Makes me question all the rest. 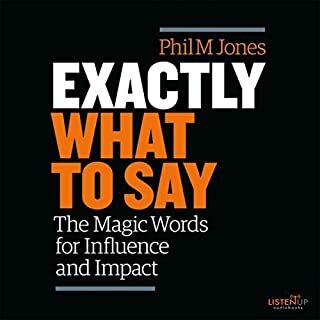 This book is terrible from the start, It is nothing more than interviews with various people of power while the writer tries to be witty and carry on a conversation with them. Multiple times the writer is making a case against several politicians clearly pushing his own political views while trying to do this on the sly so you won't notice. Also, there are several spots in the book where he is doing nothing but championing women, which in itself is fine. 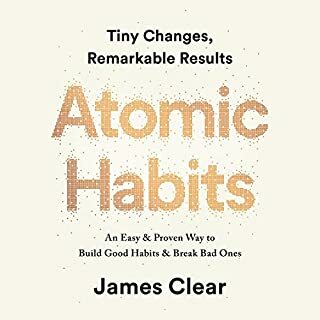 The information in this book while not all bad is pretty one-sided and does nothing from someone trying to better themselves. 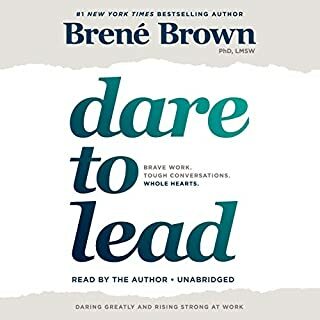 This book is masked by the title as something someone would buy on their journey to because a better, more powerful person in life and in the workplace. In my opinion don't waste your time. The monthly free books are good as the books are free. 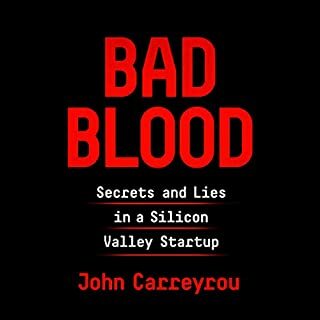 This novel came off as extremely bias without much evidence to backup the largely stereotype style of delivery. Had to turn it off halfway through as it never leveled out and came off as a smear campaign of anything the author didn't like. A bad version of 'Men are from Mars; Women are from Venus"
Adam uses some of the most powerful people in the world's stories to advance his political agenda. Started of interesting but went LEFT real fast.